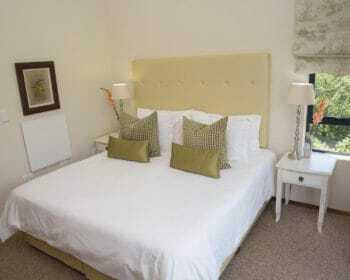 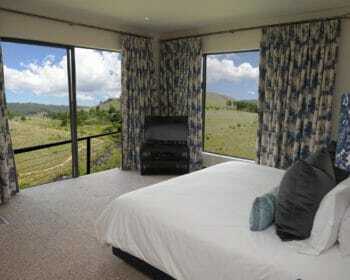 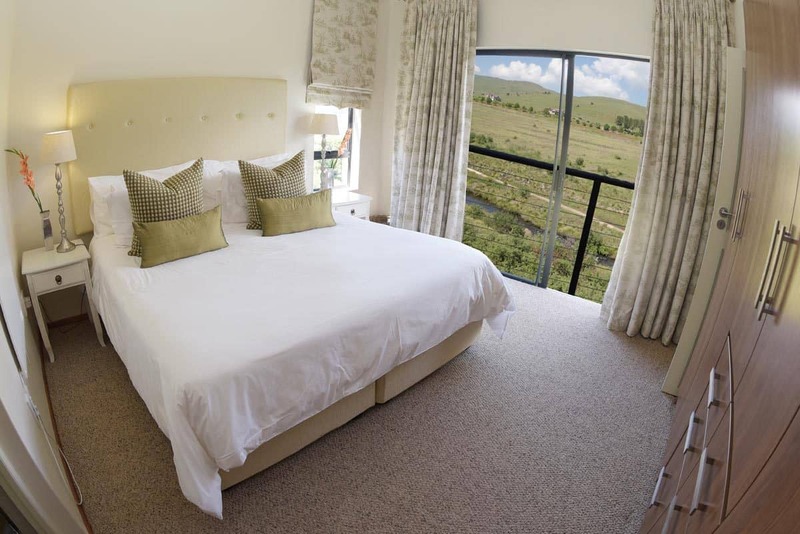 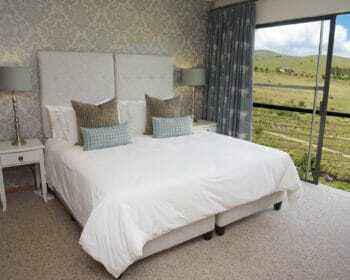 The tranquil, 5-star Riverview Cottage at Walkersons Hotel & Spa sleeps 8 guests in 4 en suite bedrooms. 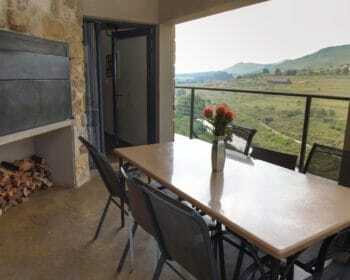 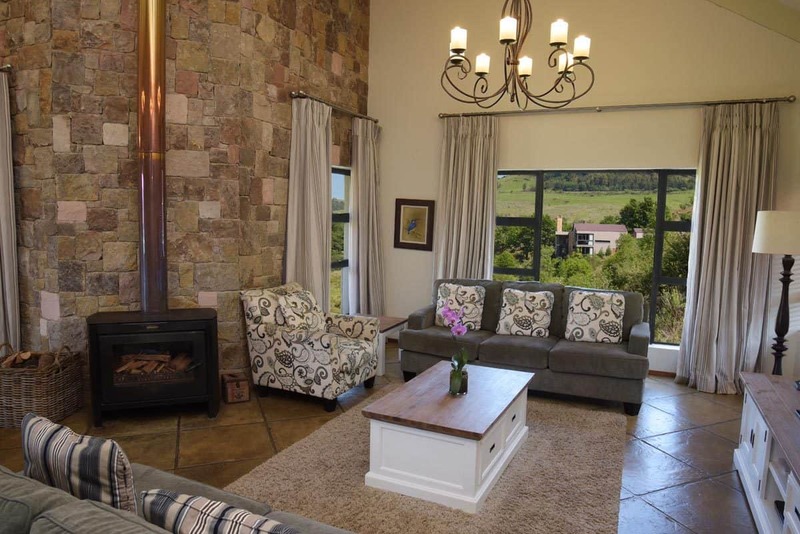 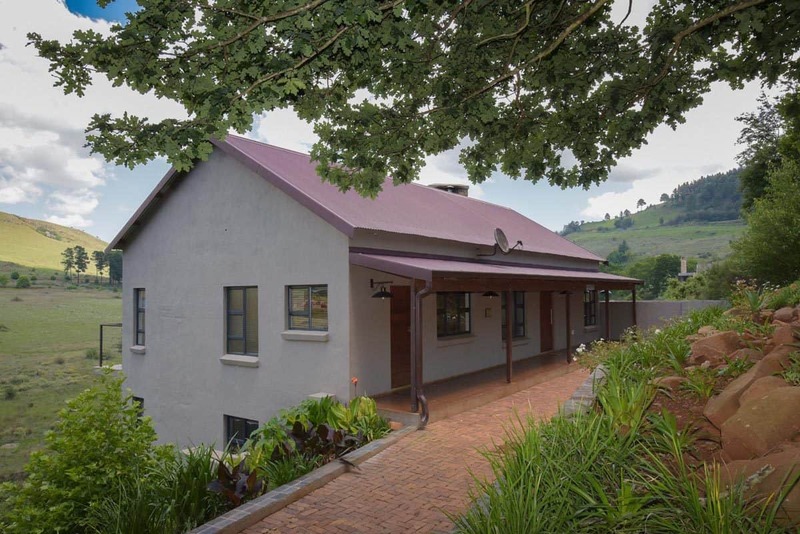 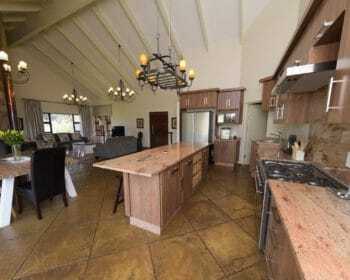 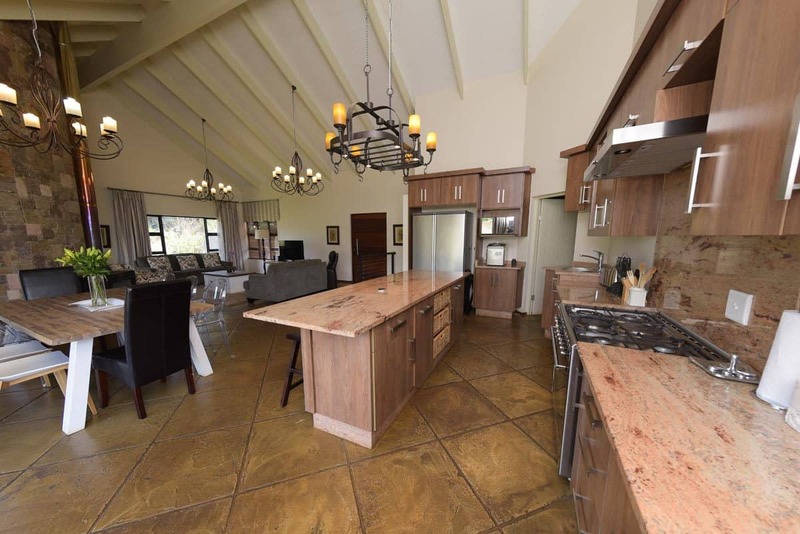 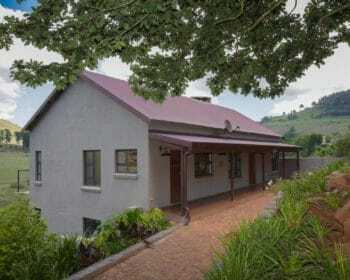 In addition, this double storey luxury Dullstroom self-catering cottage features an open plan dining room, gorgeously furnished lounge with cosy fireplace, as well as a fully fitted kitchen. 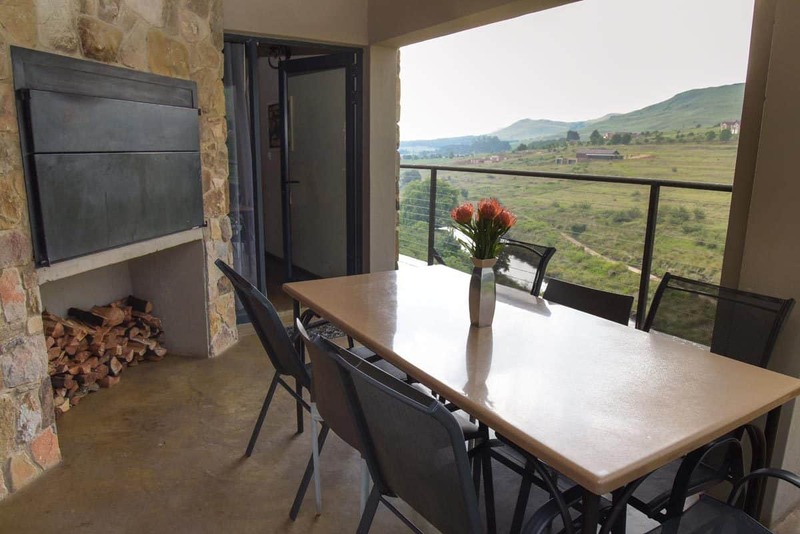 An upstairs balcony presents lovely panoramic views, while an outdoor braai overlooks the undulating estate and the winding river below. 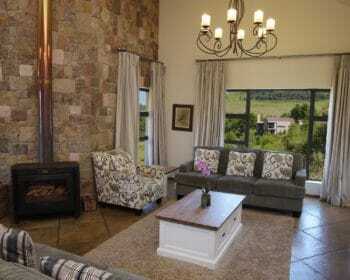 • Open plan Dining Room, Kitchen and Lounge with a fireplace. 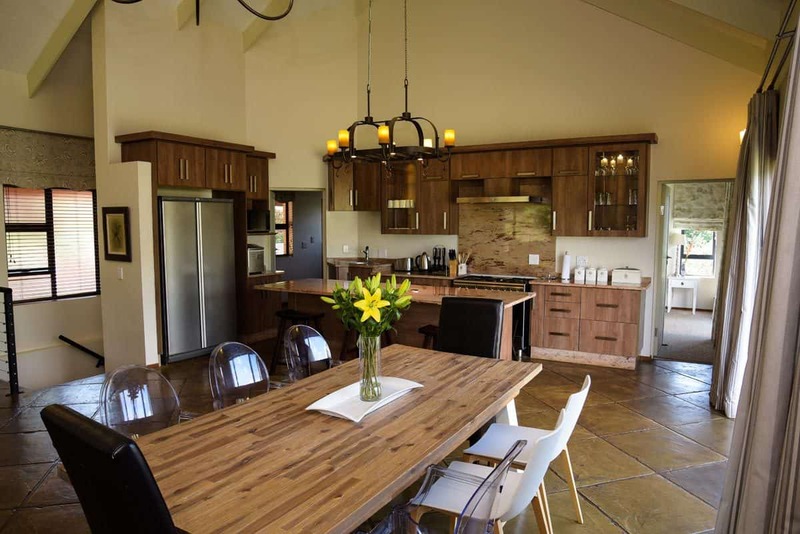 Children are also welcome in the cottages which offer greater independence through self-catering and/or the use of certain hotel facilities if required. 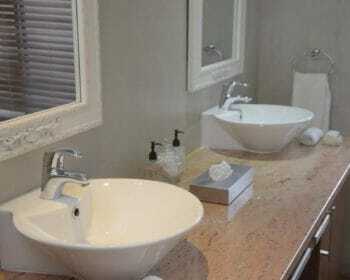 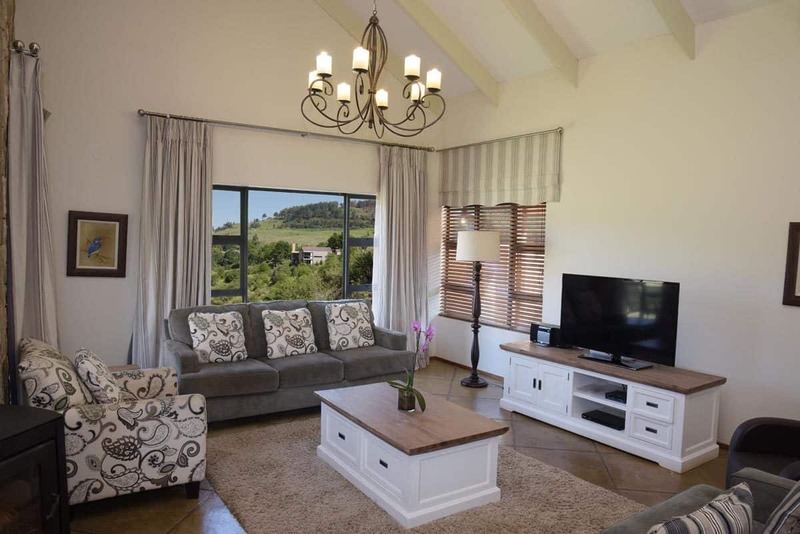 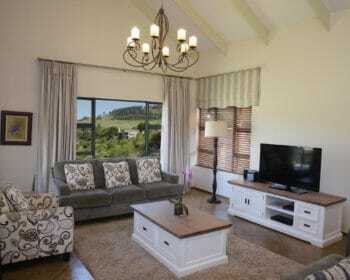 The cottages are equipped with DSTV, linen and towels, and guests are free to make use of the nearby Walkersons Spa, as well as the hotel’s gym facilities, bar and Terrace Restaurant. 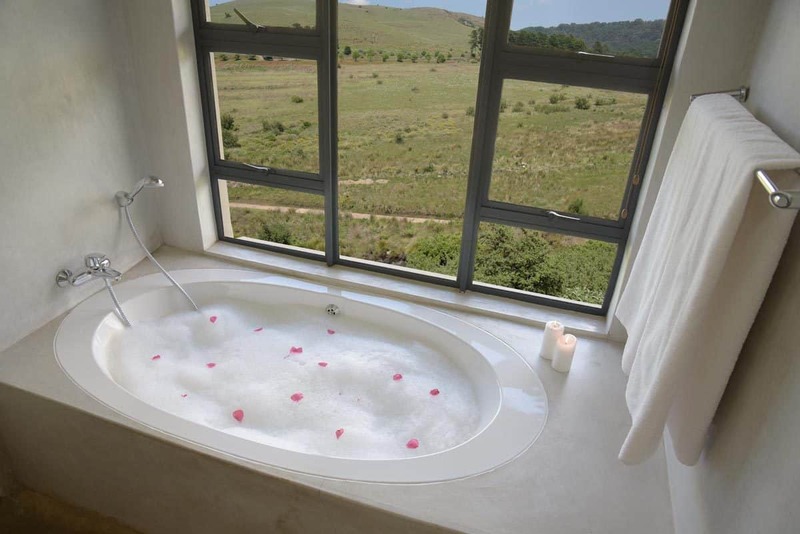 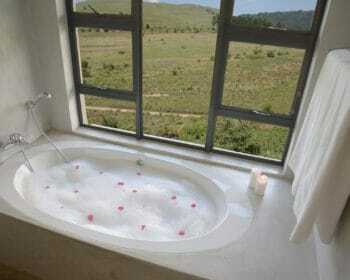 Walkersons Hotel & Spa offers a charming accommodation choice of 27 suites, including a honeymoon suite. 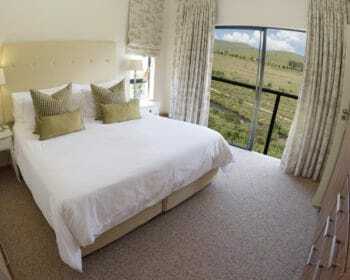 Each suite boasts elegant décor, tasteful bathrooms and large verandas. 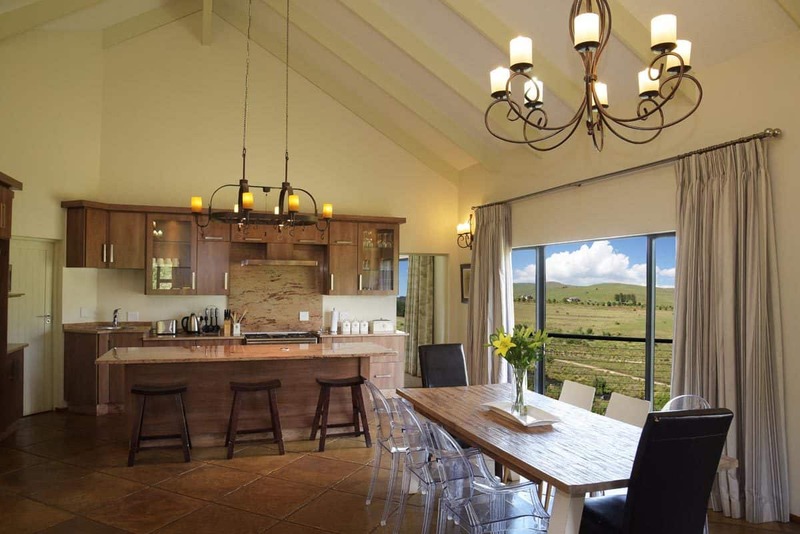 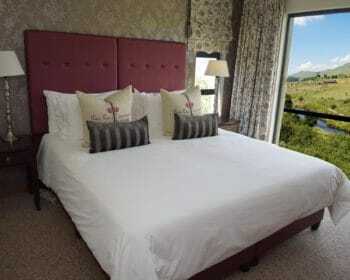 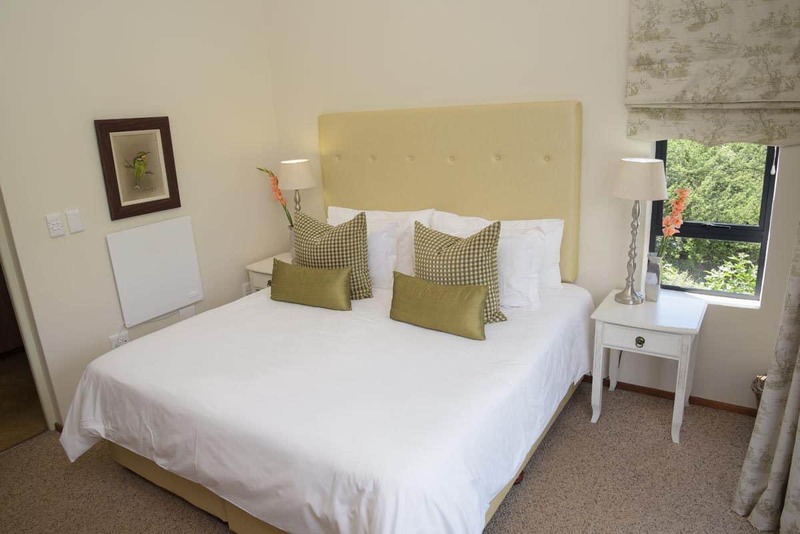 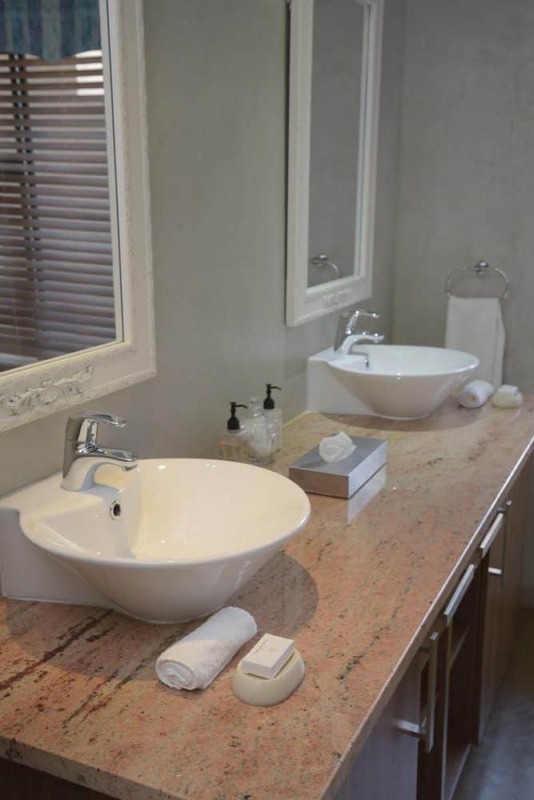 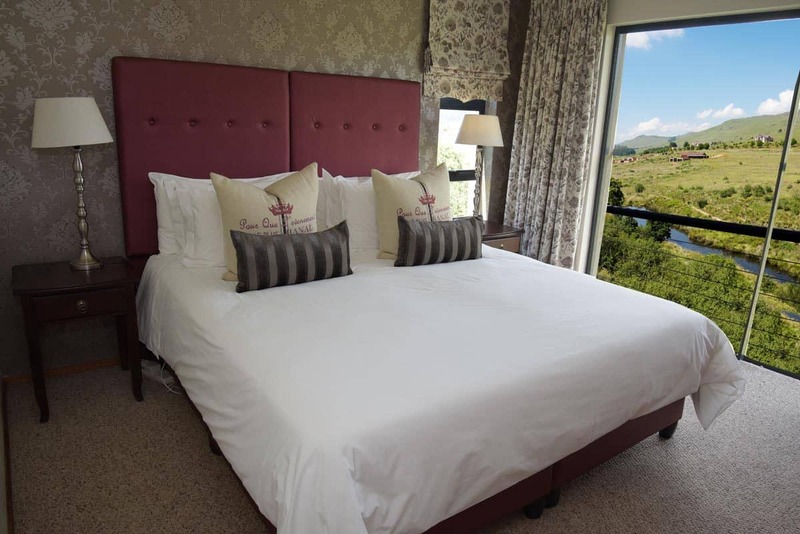 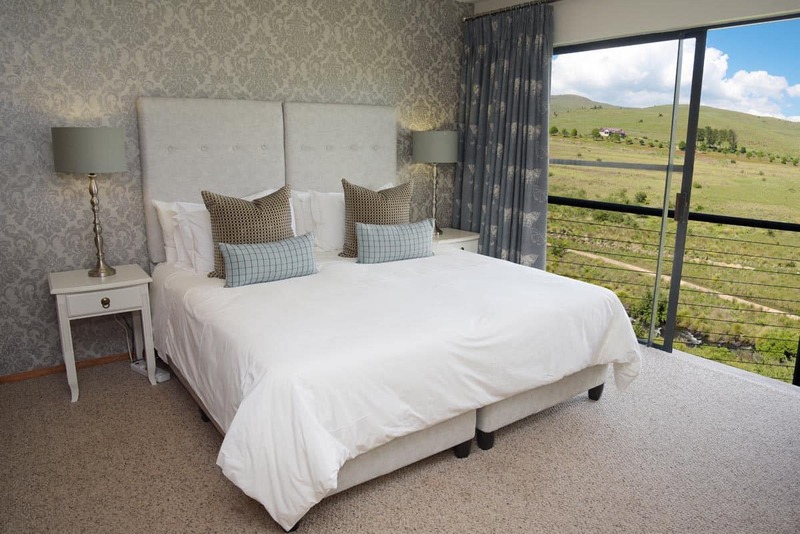 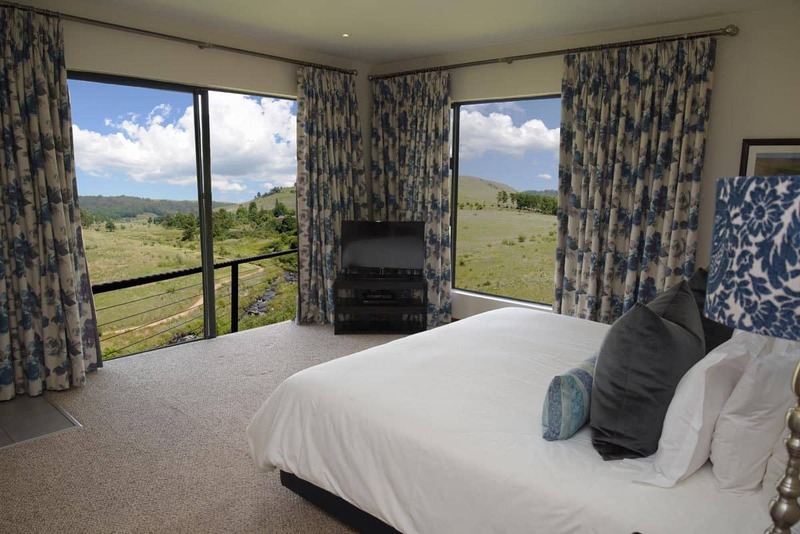 Walkersons Hotel & Spa also offers guests a choice of six fully furnished, spacious self-catering cottages located within the 800 hectare estate, at varying distances from the main hotel. 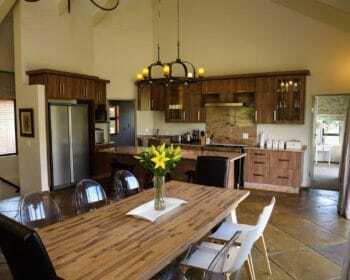 Each of these luxury cottages ensure a sense of seclusion and total tranquility.